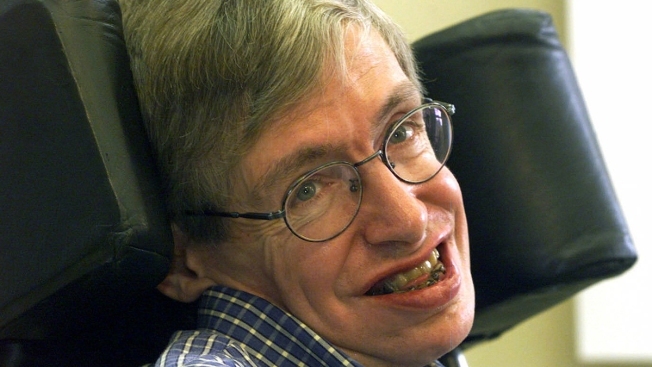 In this Wednesday, July 21, 1999 file photo Professor Stephen Hawking smiles during a news conference at the University of Potsdam, near Berlin, Germany. Hawking, whose brilliant mind ranged across time and space though his body was paralyzed by disease, has died, a family spokesman said early Wednesday, March 14, 2018. Stephen Hawking has taken his place among Britain's greatest scientists with the burial of his ashes in Westminster Abbey, between the graves of Charles Darwin and Isaac Newton. More than 1,000 people Friday attended a service of thanksgiving for the physicist, who died in March at age 76 after decades of living with motor neuron disease. There were also tributes from Astronomer Royal Martin Rees and Nobel prize winner Kip Thorne. After years of battling ALS, scientist Stephen Hawking passed away today at his home in Cambridge, England. Chris Clackum has more on the amazing life of this brilliant man. 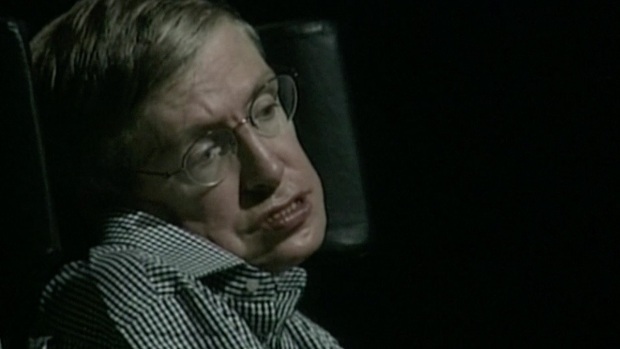 After the service, Hawking's words, set to music by Greek composer Vangelis, are to be beamed into space from a European Space Agency satellite dish in Spain. Hawking's daughter, Lucy, said the music would be aimed at "the nearest black hole, 1A 0620-00." The ashes were interred in Scientists' Corner, a section of the Abbey dedicated to those who have made significant breakthroughs. A memorial stone will be put in place atop the burial spot with the inscription: "Here lies what was mortal of Stephen Hawking 1942 - 2018." The stone is also inscribed with one of Hawking's most famed equations.